"The success and sustainability of our educational programs depend very much on your generosity and endorsement of our vision..."
You can now donate online with Credit, Debit and Paypal. Your donations will go towards the continuing educational programs of PACE-MI and will be expressed in these learning outcomes: Special Concerts, Student Recitals and Community Workshops. For the PACE-MI Concert, you may choose to (1) give a tax-deductible donation, and/or (2) purchase advertising space in the event souvenir. 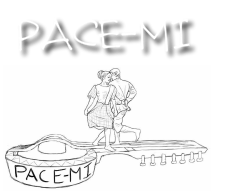 Since PACE-MI is a 501(c)(3) nonprofit, yo﻿u﻿r individual contribution is tax-deductible. To purchase space for advertising or a message in the souvenir program, examples of special messages can be variations of 'Congratulations To PACE-MI'; 'In Memory' of [name of loved ones]'; 'Best Wishes to PACE-MI from the XYZ Family/group'. Here are the rates. Please make your payments to Philippine Arts and Culture of Michigan or PACE-MI and mail the check to PACE-MI, PO Box 131322, Ann Arbor, MI 48113, or to our office, PACE-MI, 2232 Placid Way, Ann Arbor, MI 48105. You can now donate or pay through Paypal (click the Donate link above). Call the PACE-MI Treasurer (734-395-2195) or the PACE-MI Secretary (734-972-8875) to make a reservation or to arrange donation pickup within Washtenaw County.